Another environmentally-friendly car will be introduced by Honda at the New York Auto Show, the Honda FCX Clarity. 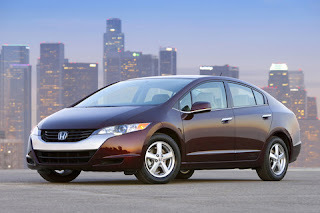 The Honda FCX Clarity is a zero-emission vehicle with hydrogen-powered fuel cells. The Honda FCX Clarity doesn't look like your ordinary fuel cell cars, in fact it pretty much looks like an ordinary car. I guess Honda is making headway in terms of the design of their hydrogen-powered cell cars.